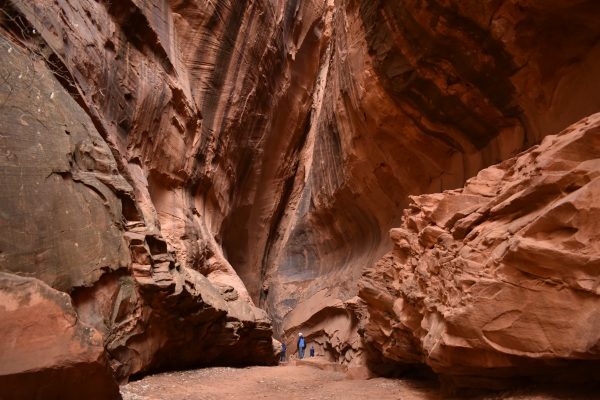 Singing Canyon is a very short slot canyon located along the Burr Trail outside of Boulder, Utah. 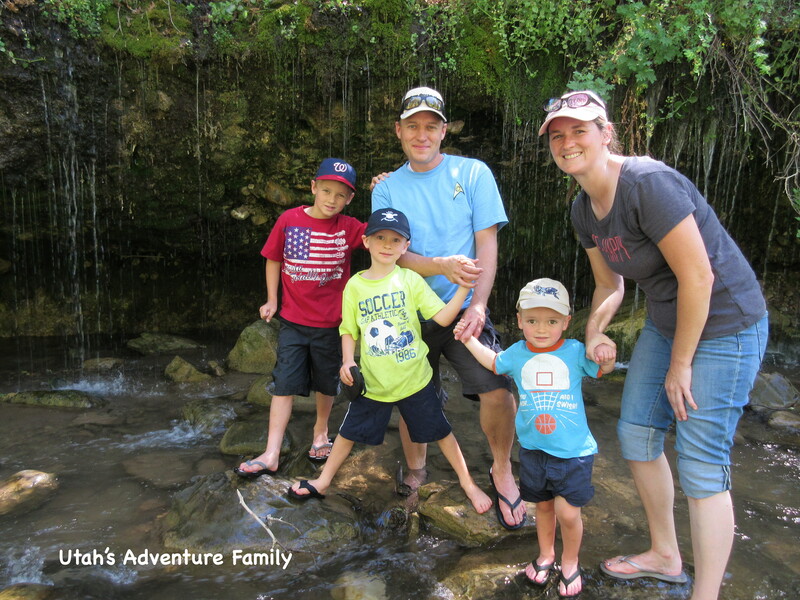 The canyon is a bit out of the way, but the kids love it because their voices echoing off the surrounding cliffs is so much fun. 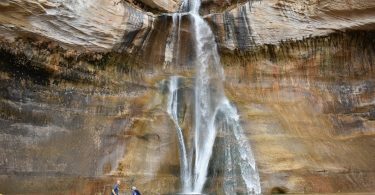 If you’re spending time on Highway 12, this is a beautiful detour that is worth the stop. The Burr Trail branches off the highway in Boulder. 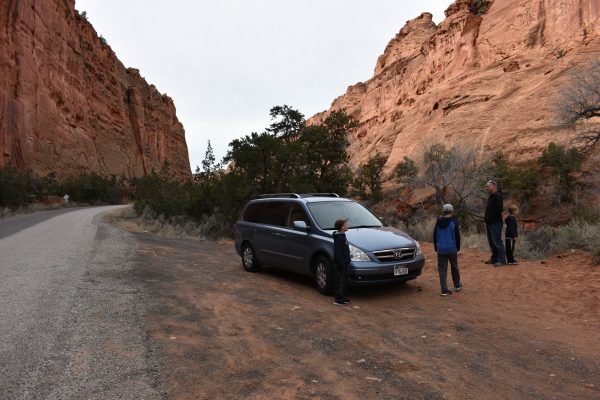 To find Singing Canyon, set your odometer to zero as you turn onto the Burr Trail Road (otherwise, be prepared for some math!) Drive down the winding road for 11.2 miles. 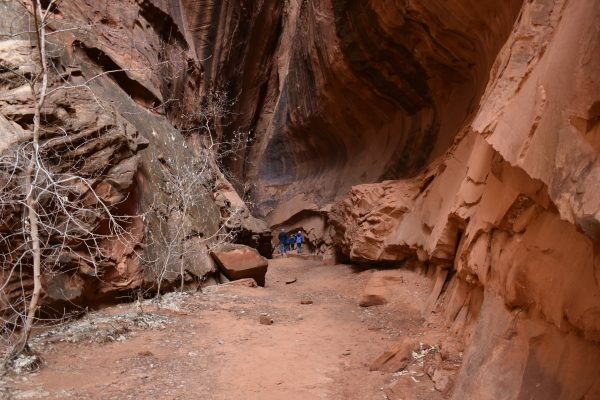 There is a wide pullout on the left side, and you can’t miss it because a large dark slot canyon looms just above it. Watch for this pull out on the side of the road at 11 miles or so. From the parking area, the trail goes slightly downhill. You can start to hoot and holler as soon as you get out of the car, because the acoustics of the canyon will fling an echo right back at you! 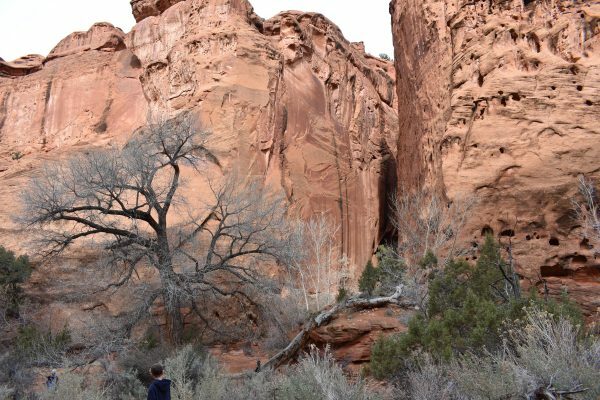 Though they call it Singing Canyon, we liked making short chirps and whoops, which returned more echoes quickly. You will see the thin canyon from your parking spot. 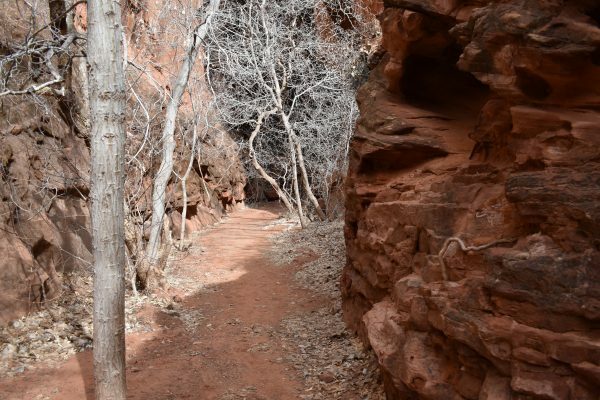 There is an easy trail right into the slot canyon. 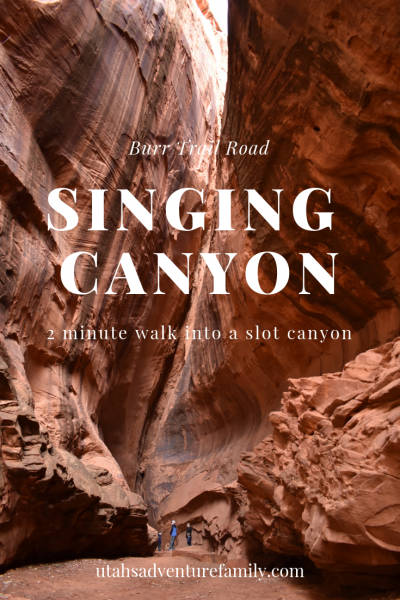 Singing Canyon isn’t very long, but it is fun to sing in. 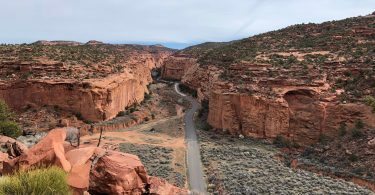 The canyon runs for less than a city block before it deadends. You would need ropes or a fire ladder stacked on top of another fire ladder to go any further. When we were there in Spring, there was a large deep pool of water. Take a few moments with your kids and sing, shout, and whisper. The echoes are really amazing! We loved this beautiful canyon.